Polyvinyl chloride is a thermoplastics material which consists of PVC resin compounded with varying proportions of stabilisers, lubricants, fillers, pigments, plasticisers and processing aids. Different compounds of these ingredients have been developed to obtain specific groups of properties for different applications. However, the major part of each compound is PVC resin. The technical terminology for PVC in organic chemistry is poly-vinyl-chloride : a polymer, i.e. chained molecules of vinyl chloride. The brackets are not used in common literature and the name is commonly abbreviated to PVC. Known in laboratories since the early 1900's, it was first commercially produced in the 1920's. At the time, it was merely thought of as an interesting substitute for natural rubber. 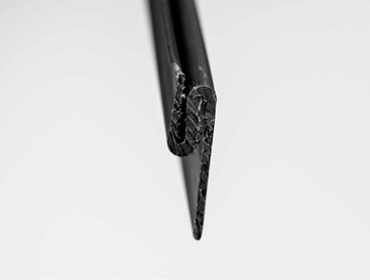 In fact, one of the first commercial uses was as a rubber substitute in electrical wire insulation because rubber could dry out and crumble over time. In the 1930's, rigid vinyl was developed but it wasn't until the 1950's that rigid vinyl saw its first uses in the USA & Europe. More than 60% of the poly vinyl chloride (PVC) resin produced in the world, today, is used in building and construction and related industries. Commonly known as vinyl or PVC, its popularity in this market can be attributed chiefly to its competitive, stable cost base and wide processing capability. Versatility - PVC is the most versatile plastic on the market today -- primarily because it's the only polymer that is always mixed with other ingredients before being formed into a product. With a careful balance of the right additives, vinyl compounds can be formulated to make tough, rigid items like pipe, and flexible items like vinyl membrane. Depending on the additives used, vinyl products can be crystal clear, opaque or virtually any color. 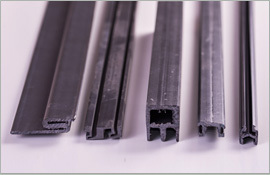 Rigid PVC was the first plastic to be used in the construction industry and has become this industry's leading plastic. Pipe, pipe fittings, conduit fittings alongwith other major applications include siding, window and door profiles, electrical wire and cable insulation, flooring, and vinyl membranes for roofing and environmental containment liners. 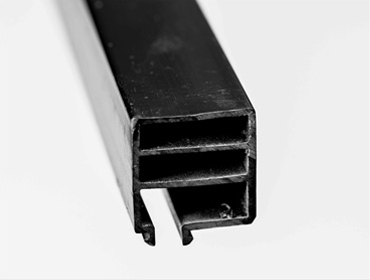 Rigid PVC offers advantages for piping and related applications due to its low cost, high strength to weight ratio, pressure bearing capability, corrosion and chemical resistance and low friction loss characteristics. Un-plasticised PVC is an amorphous commodity thermoplastic that can be transparent and colorless but is much more commonly pigmented. It is stiff, strong and inherently flame retardant with quite good chemical resistance (solvents are its weak area, especially stress cracking therein). It has good barrier properties and UV resistance but a limited operational temperature range, becoming brittle at 50C (unless modified) and with an upper continuous use temperature of 700C. As additive-free PVC starts to decompose before it melts, it can only be melt processed by the addition of stabilizers or the use of copolymers (or by the addition of plasticisers which results in products of different properties). Applications include building products – e.g. window frames and cladding, thermal break Isolators, Insulators, Pipes and fittings, floor tiles - bottles, film and LP records. 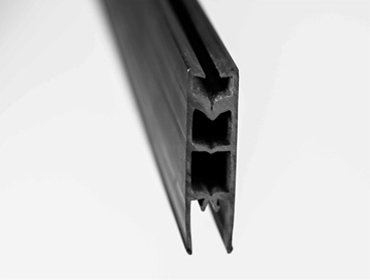 Though PVC is widely used as cable insulation, this is normally made from plasticised grades (or sometimes from cross-linked PVC for minimum flammability).